Who likes a good puzzle or brain teaser? 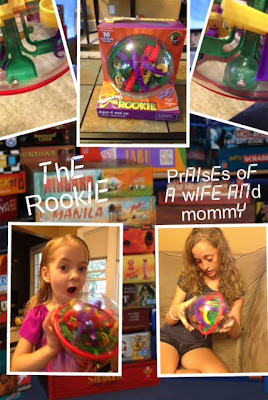 Thank you Perplexus for sending me "The Rookie" to conduct my review and the winner of the giveaway. All opinions are 100% mine. The designer of the Perplexus came up with the design back in the 1970's!! It took many years before it finally found The KID Group where it was licensed and finally set for production. There are 3 models which include "The Original," "The Rookie," and "The Epic." The mailman came and dropped off this surprise earlier this week. 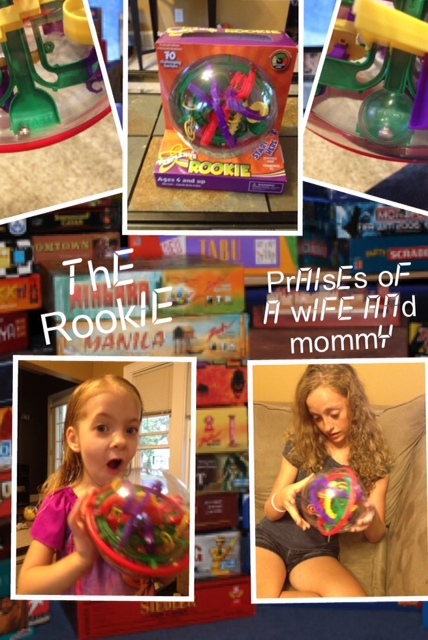 :) As soon as I took "The Rookie" out of the shipping box my daughter saw the bright colors and I think she was drooling with anticipation of playing. Since she was all ready for bed I the nice mom that I am let her have 5 minutes to play before tucking her in. After I put the children in bed I had the youth group over for a movie night. I left "The Rookie" on the table in hopes that someone would try to play with it. Well, the first couple people arrived and I walked out of the room and walked back in and one of the girls was already playing. :) She said it was fun and addicting and frustrating because her ball kept falling too. Overall it was two thumbs up! :) I know that "The Rookie" is going to end up at youth group for some sort of challenge. I like that the ball comes with a "holder." If you want to take a little break you can put the ball on the nice holder and it will keep your place for you as long as you are in a good safe place. My husband has successfully completed the puzzle. It only took him a handful of tries and I don't even know how many times I have attempted and failed. My time is coming!! Also find them on Facebook and Twitter. Enter through the rafflecopter form below. If you have any questions about entering please let me know. 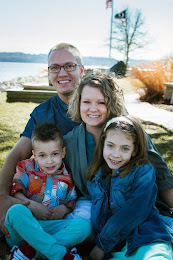 Love your Godly heart& your blog! 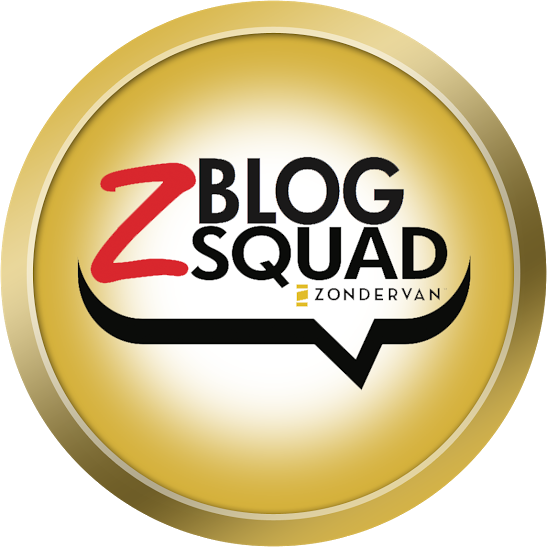 Newest Follower via bloghop! Would love for you to follow back!? Love this! I'm your newest follower from the Monday Mingle, and I'm excited to get to "know" you! Hey there! 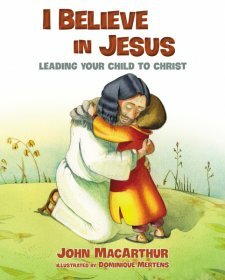 Just wanted to let you know that I’m the newest follower of your blog via the hop, and I’d also like to invite you to check out an Amazon Giftcard Giveaway I’m having right now!